Stay Staffed Representatives attended the four day 38th Annual Meeting and Exhibition of the American Organization of Nurse Executives (AONE) Conference hosted at the Hyatt Regency Hotel in downtown Chicago, Illinois. The Stay Staffed team was one of the featured exhibitors demonstrating the Stay Staffed web based technology in the information-packed hall of over 200 AONE members. The purpose of AONE is to tackle the issues facing today’s nursing executives and keep them abreast of important news in their field of expertise. The theme of the 38th AONE Conference was “Creating a Blue Print for our Future” which was very appropriate in light of the exciting changes occurring in our healthcare systems. One of the hottest topics at the conference was a break out session entitled: On the Forefront of Applying On-Line Bidding Technology Solutions to Assure Effective Staffing. 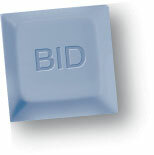 Bidding systems are a new and innovative technology that is helping address the needs of today’s nurses and assisting to attract them back to hospitals as their primary place of work. Using an internet connection, a hospital posts open shifts with broad visibility to qualified professionals. These may be to both internal employees and/or approved agency staff. Nurses are able to log-on at home or at the hospital and select shifts they are interested in working, which in turn, increases the hospital’s staffing levels and decreases the need of utilizing outside sources for unfilled shifts. During the AONE session, four hospitals CNOs’ discussed their results utilizing bidding systems. The key benefits these CNOs attributed to bidding systems were the positive impacts in the areas of recruitment, retention and cost savings. These were directly related to their decreased use of temporary staffing, optimization of their staffing processes, and the better management of overtime and incentive pay for these employees. During the conference, the Stay Staffed team met with over 70 AONE members who wished to explore the Online Bidding Solutions offered by Staff Staffed as well as the optional services such as Internal Staffing Management, Vendor Staffing Management, and Stay Staffed Candidate Direct™, the latest, and most cost efficient means for a hospital to establish direct relationships with per diem and/or traveler candidates. If you wish for more information on Stay Staffed Bidding or to schedule a 30 minute online web demonstration of our product line, email us at info@staystaffed.com or call (800) 585-1710. 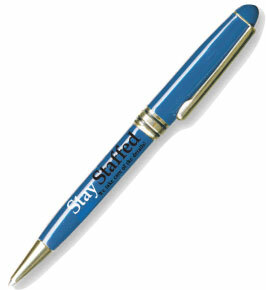 How Do I Promote Stay Staffed to My Employees? Yes, This hospital doubled the number of users in just one month! In the next Issue: The Staffing Manager of Nursing Services of client hospital, Washington County Hospital, Amy Farmer, BSN, MBA discusses the implementation and benefits of utilizing Internal Staffing Management (ISM) of Stay Staffed. 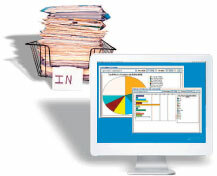 Our reports package provides your organization with a full complement of reports. Staffing Coordinators can easily view organized information relating to candidates and assignments while management can review reports relating to unit information or overall hospital usage. Offering over 30 standard reports, Stay Staffed Technology replaces hard copy Candidate Profiles with Online viewable Documents, Reports, and Analysis! Our courteous and dedicated staff is comprised of both information technology and staffing experts. 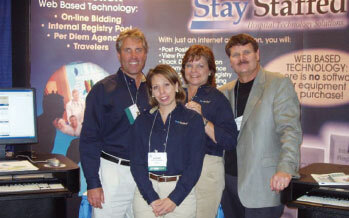 Stay Staffed offers its Start Fast™ services. This service will ensure that all information needed to customize the solution to your facility is input into the system by our professionals, allowing your staff to concentrate on its daily activities. When the system is ready to be rolled-out to your facility, your staff will be trained by our experienced personnel. Whether you require on-site training or web-based interactive training, we will accommodate your needs.